And I had no idea what the heck I was singing about. 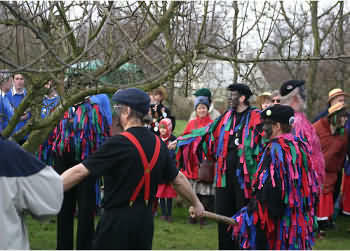 As people gather around the fruit tree, a cup of brew is passed with the greeting “Wassail!”, a word that comes from the old English term, “waes hael” which means, “be well”. 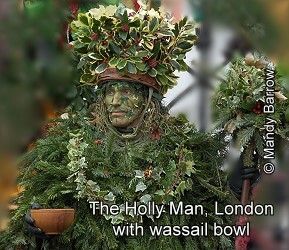 And what might one find in the wassail? Well… today one might get a nice cup of warm cider seasoned with spices. 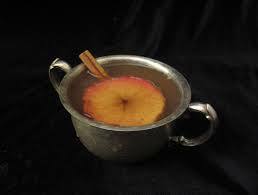 In medieval times the wassail might include hot ale, roasted crab apples, sugar, spices, eggs, cream and bits of toast. YUCK. Saturday is the winter solstice and there will be a gathering at Stonehenge to welcome the sun. AP doesn’t want to go as it would mean getting up at 5 AM. 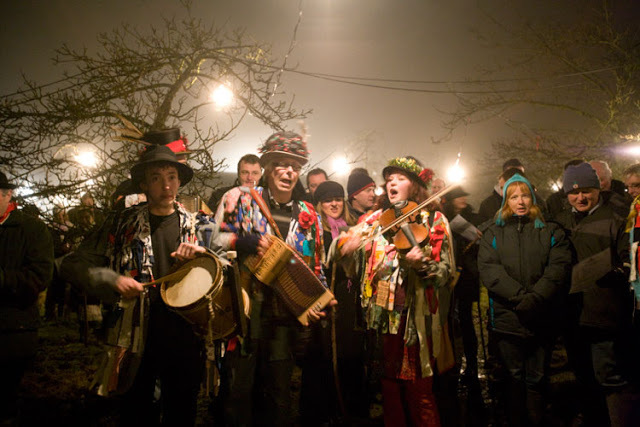 And based on the looks of some of those costumes, I think it’s unlikely that we’ll be going wassailing any time soon either. Nothing wrong with wassailing at home in your jammies. I always thought it would be to cold to go way sailing, and it being winter the seas might be pretty rough. Now I have an entirely different view of that song. 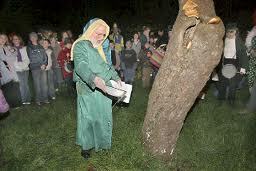 I did go wassailing once, down in t’coontreee.Grand, t’were! Everyone hopped about, singing, slurped some from the communal cup…and then we all retired to the pub and made a proper job of things!